When you store your things away in a self storage container, it’s important that you stack things up in the right way. Not only is this important in helping you maximize the space, and in giving you access to items you may need, it also helps ensure your clothes remain intact and undamaged. Before going into storage, all clothes must be cleaned. If you’re going to be putting them away for the long haul, make sure you don’t use starch, as this may attract moths and other nasties that you really don’t want in your clothes. Some people are tempted to seal away their clothes in airtight bags. This is not a good idea. If your clothes don’t have access to proper ventilation, mold can form, particularly if you’re storing your things in an area where the humidity is high. So, for example, in Atlanta, where the humidity is high, particularly in the summer months, always make sure your clothes can breath. Moths can be a real pest, and do untold damage to your clothes if they get at them. To deter these winged irritants, put some cedar blocks into the container. These are better than using other forms of pest control or moth balls, and won’t leave any lingering smell. It’s a good idea to hang certain items of clothing, such as jackets and dresses. When you do, don’t use metallic hangers as these may rust over time. If this happens, the rust can rub off onto your clothing. In addition, cover any hangers you do use with a layer of cloth or similar fabric, so your clothes never come into contact with the hanger. In order to prevent mildew or mold forming, use a dehumidifier like silica gel. In addition, separate each item of hanging clothing with tissue paper, ideally acid free. This will help to prevent any sort of dye transfer from garment to garment, as well as warding off mildew. The last thing you want is to go and check on your things after a few months and find that your clothes are all worn and motheaten. So, if you’re going to be putting your clothes into storage for a long time, don’t leave it too long without checking their condition. 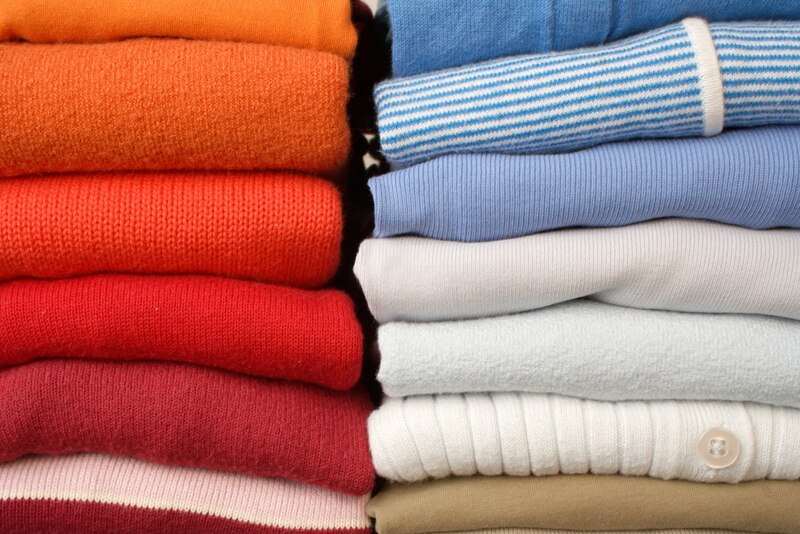 Do so every 6 months to make sure no infestations have developed and that your clothes are still intact.